It may sounds strange to hear the words “workers compensation plastic surgeon” in the same sentence together. After all, when we think of “plastic surgery” we conjure up images of botox, face lifts, and breast enlargement / reductions. And how or why would workers compensation insurance ever be willing to pay for these procedures? However, there are actually many other types of work related injuries which do indeed require plastic surgery. But what are they? What types of work related injuries require plastic surgery? Let us take for example an employee working in a fast food restaurant. If he or she is cooking french fries in hot fat – and somehow the hot fat comes into contact with his/her skin for a sufficient period of time – it may result in serious burns. Depending on the severity of the burn, it may become a permanent scar. The severity of this scar can be reduced thanks to treatment by a plastic surgery. Burns can also be electrical or chemical burns. 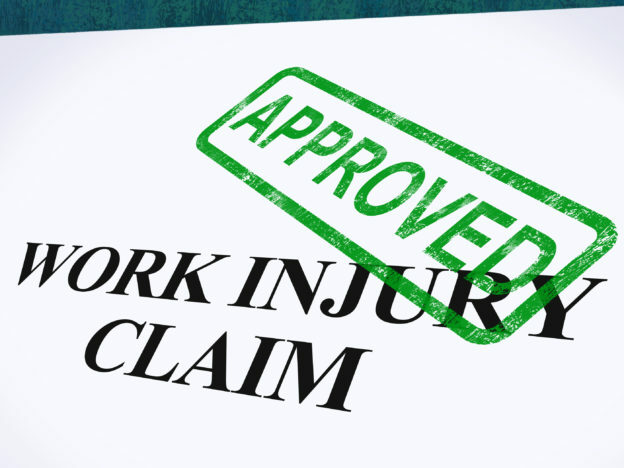 Likewise, if these occur in a workplace setting, then they usually fall under the category of a workplace accident and are subsequently covered by the employee’s workers compensation insurance. In this example, let us imagine an employee working in an industrial factory utilizing an assembly line with machinery. Even though safety standards have improved considerably over the years – and the work of risk managers has to be commended for this – workplace accidents may still occur. The employee could hypothetically slip and place a part of his body too close to a machine leading to a cut or laceration (or perhaps even more severe injuries). Again, having occurred at work, this would likely be considered a work related injury and would subsequently be covered under workers compensation insurance. In order to reduce the severity of the scar, a plastic surgeon may be required. Why choose a plastic surgeon who is experienced with workers compensation cases? Anyone who has worked in the workers compensation healthcare industry will know that work comp cases are not exactly the same as regular cases. First and foremost, the insurance is different (work comp insurance is used instead of medicare or the patient’s private plan). In Florida, the adjuster and/or nurse case manager can in general control the direction of care, so the patient usually sees the doctor which his/her adjuster refers him/her to. This different system – combined with all the paperwork (e.g. the DWC-25 Form in Florida) and the psychosocial factors of the case can make things more complicated. Therefore, a workers compensation plastic surgeon who has experience with this system (for example how to complete a DWC-25 Form, in the case of Florida) makes the progress of a case better and smoother for both the patient and his/her workers compensation carrier. Workers compensation cases can also become litigated when there is a disagreement between the employee and the employer or the employer’s workers compensation carrier. In such cases, it is even more useful to have a workers compensation plastic surgeon who has experience as a plastic surgery expert witness. In the state of Florida, being an Expert Medical Advisor is also an asset, as it enables a doctor to be called upon to give testimony or an expert medical opinion in the case when two other doctors are in disagreement about a case. Dr. Zaydon has many years of experience working as a plastic surgeon on workers compensation cases in Miami, statewide, and nationally. In addition to being Board Certified and Fellowship Trained, he is also an Expert Medical Advisor in Florida. Dr. Zaydon earned his medical degree from Drexel University in Philadelphia, Pennsylvania. Graduating with special honors, he also served as Chief Resident in plastic surgery at the Louisiana State University. He is a noted author of numerous articles and chapters on various aspects of plastic surgery. Currently, Dr. Zaydon is chief of plastic surgery at Mercy Hospital in Miami, Florida. Read more about Dr. Zaydon and his work as a workers compensation plastic surgeon. This entry was posted in plastic surgery expert witness and tagged plastic surgeon, plastic surgery expert witness, workers compensation plastic surgeon on May 31, 2017 by kpeacy.